Are you ready to be part of the Cloud Movement and join a team of the world’s best Microsoft Dynamics 365 troubleshooters to enable the success of the Microsoft’s ERPs on the Cloud? You will have a chance to solve technically complex problems in a fast-paced, high-growth product area. As a trusted advisor to our customers and partners, you will have influence over the implementation and administration of multi-million dollar configurations. Expect to work closely with other Support Engineers to integrate cross-product solutions. Your technical and relationship skills are critical to the success of the Dynamics 365 for Finance and Operations solution and the customer’s perception of value. 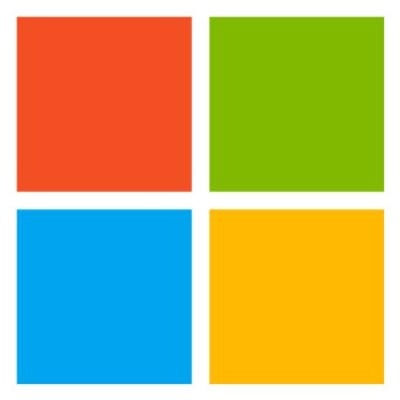 As a Microsoft Dynamics 365 Finance and Operations Support Engineer (SE), you are a technical leader and will be driving the discovery of potentially unique solutions for each customer situation as part of a team. We’ll provide you with abundant resources, including training, advanced diagnostic tools, the Microsoft Dynamics 365 product group, and the experience of tenured engineers around you. You will also have the opportunity to collaborate and help your colleagues by sharing the results of your investigation. In this professional role, your contribution and overall impact is self-directed and the opportunities are plentiful. Troubleshooting at this level is not scripted. You will be responsible to resolve potentially unique solution for each of your customer’s situations. During the troubleshooting, you may uncover software defects and have opportunities to improve the customer experience as well as to influence the current and future design of Microsoft Dynamics 365 by working directly with the product team. Our continuous learning environment expects that you will develop ever increasing depth skills as a subject matter expert. You will become the world’s best in your area of expertise. This position will require you to work a rotational On-Call schedule over weekends. You may have the opportunity for some occasional domestic and or international travel. Be part of a team and develop your skills as you solve complex technical issues in Microsoft Dynamics 365 for Finance and Operations. Manage relationships with your customers and provide technical documentation for the troubleshooting steps. Report software bugs and be an advocate for product improvement using customer suggestions. Develop specialized expertise by supporting Microsoft Dynamics 365 for Finance and Operations. Document your knowledge and share it with others. Use tools for debugging and root cause analysis. Provide in-depth technical support for customer service delivery via telephone, written correspondence, or electronic service regarding technically complex, escalated problems. Engage and collaborate with other Microsoft groups, including escalation teams and the development team, in gaining resolution to critical, complex issues. Represent Microsoft professionally in customer and partner onsite visits, where travel may be required. Create advanced online technical content including Knowledge Base articles, training documents, blogs, etc. Participate in planned team-wide shift rotations to cover business needs, including 24x7 “On-Call” responsibilities and extended (evening shift). A working knowledge of Dynamics AX or other Dynamics ERP products such as Dynamics GP or Dynamics NAV is a plus. Strong knowledge of operating systems including (Windows 2016, 2012 and 2008 Server, Windows 10, 7 and Vista). Good knowledge of Microsoft SQL and Active Directory. Strong debugging skills desired but not required, e.g. ability to read and analyze network traces, fiddler, SQL trace, etc. Experience in creating technical documentation and sharing knowledge with others through training delivery and mentoring. Programming skills are useful but not required, preferably in C.
Passion for lifelong learning and personal and professional development. Excellent Communication Skills - verbal, listening, and written (including technical writing).